We consider the question whether synchronization/alignment methods are still useful/necessary in the context of side-channel attacks exploiting deep learning algorithms. 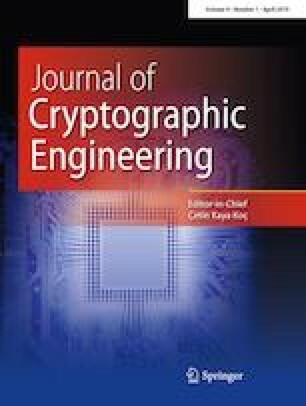 While earlier works have shown that such methods/algorithms have a remarkable tolerance to misaligned measurements, we answer positively and describe experimental case studies of side-channel attacks against a key transportation layer and an AES S-box where such a preprocessing remains beneficial (and sometimes necessary) to perform efficient key recoveries. Our results also introduce generalized residual networks as a powerful alternative to other deep learning tools (e.g., convolutional neural networks and multilayer perceptrons) that have been considered so far in the field of side-channel analysis. In our experimental case studies, it outperforms the other three published state-of-the-art neural network models for the data sets with and without alignment, and it even outperforms the published optimized CNN model with the public ASCAD data set. Conclusions are naturally implementation-specific and could differ with other data sets, other values for the hyper-parameters, other machine learning models and other alignment techniques. François-Xavier Standaert is a Senior Research Associate of the Belgian Fund for Scientific Research (FNRS-F.R.S.). This work has been funded in parts by the EU through the ERC project SWORD (Consolidator Grant 724725) and the H2020 project REASSURE.